Andy Muschietti’s IT has done well. Some people have seen it. It’s made a buck or two. But enough understatement: IT is a bonafide box-office juggernaut, and the film has just hit another mind-bending milestone, crossing the $500 million mark in worldwide gross. That officially makes it the highest-grossing horror movie ever made—IT had already surpassed previous record-holder The Exorcist for the domestic gross top spot last week, but now it’s also taken the top spot for global gross. (Adjusted for inflation, The Exorcist would still reign supreme in both categories, but at this point, we’re not going to count IT out.) Warner Bros. announced Thursday that the 44-year record was one of the longest-held in cinema history, per Variety. IT, released on Sept. 8, will have been in theaters for three weeks as of tomorrow, Friday, Sept. 29. The film hasn’t even been released in Germany, Italy or Japan yet. And it’s already made $500 million—including $273 million in the U.S. alone—on a $35 million budget. 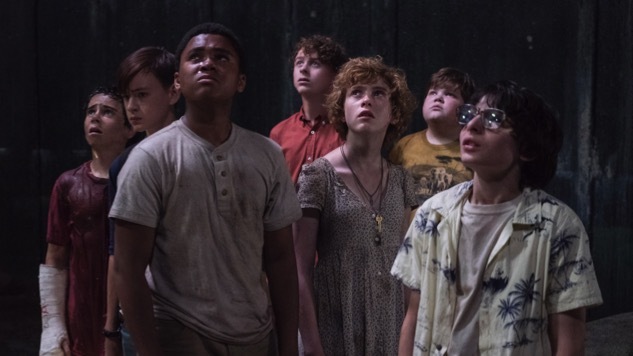 The IT sequel was officially green-lit earlier this week, and is set for a Sept. 6, 2019 release. Muschietti is in talks to direct again, and Gary Dauberman is already at work on the second chapter’s script. Read our IT review here and watch the teaser that started it all right here.